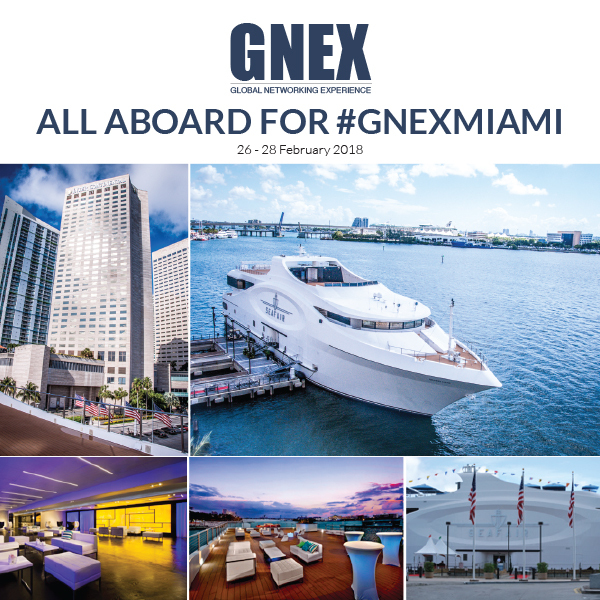 It has been revealed that the next GNEX Conference for the hotel and resort industry, which was originally set for New York, will now be held in Miami, Florida – but with a difference. The Global Networking Experience, commonly known as GNEX Conference is synonymous with attracting senior-level executives to different stunning locations each year, creating unique business-making environments and delivering spectacular social events. So when Perspective Group, the hosts of the event were unable to secure the high-end party venues for another record-breaking event on the dates needed in New York, they decided to revisit New York at a later date and bring forward their spectacular Miami option. In 2018, the conference will be held on the world’s first mega-yacht venue, the $40 million, 228ft SeaFair Grand Luxe that recently completed a further $10 million renovation to provide a truly unique event venue that boasts more than 22,000 square feet of meeting space. The yacht is docked outside the Intercontinental Miami, which will serve as the official hotel for event accommodations, offering special rates and packages for GNEX attendees. The conference sessions, however, will all be onboard the SeaFair – one of the largest private yachts in America. GNEX has always innovated, adapting its format to match changes in market trends, and in its 8th year is once again raising the bar, and further breaking the mold of traditional conferences. The Global Networking Experience, as it is aptly named, will provide unique networking sessions and further extended networking time in a luxurious environment, where industry leaders and new entrants alike can meet and find new business opportunities that will help drive their businesses forwards in the coming year. “The real ROI for attending a conference is the new business you acquire by being there, so providing ample networking time, planned networking sessions and facilitating personal introductions to ensure everyone meets everyone else they hoped to, in a unique and fun environment is what sets up apart from other conferences.” Says Paul Mattimoe, President & CEO, Perspective Group. Guest Speakers, Interactive Sessions and Workshops will also be available throughout the four decks, providing valuable educational content on pertinent topics, and delivering an exciting schedule for attendees to plan their meetings around. The conference will run from 26-28 February 2018. 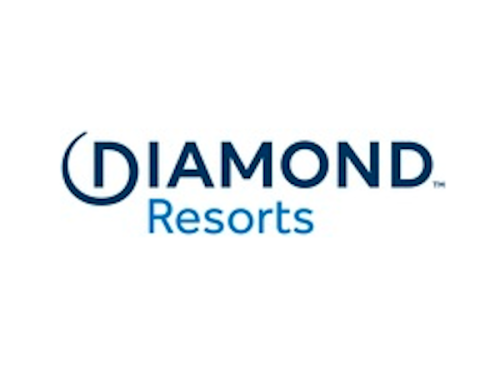 The first day will offer optional destination activities that in previous years have not only offered delegates the chance to enjoy the location they have traveled to but also share time with other attendees and grow new friendships and business contacts. The following two days will be onboard the SeaFair Grand Luxe, however, the yacht will not sail on the first of these days, enabling attendees to move between the hotel and yacht at their leisure. A true Miami style party will close out the first main day. On the final day, the yacht will set sail in the afternoon, giving attendees a real treat, cruising in Biscayne Bay and looking back at sunset at one of the most iconic city skylines in the world as it lights up. For more information and to register for the event, visiting http://gnexconference.com/register. GNEX also provides incredible value and exposure with all of its sponsorship options, which range from $4,500 – $25,000+. To request a sponsorship brochure, visit http://gnexconference.com/sponsorship.